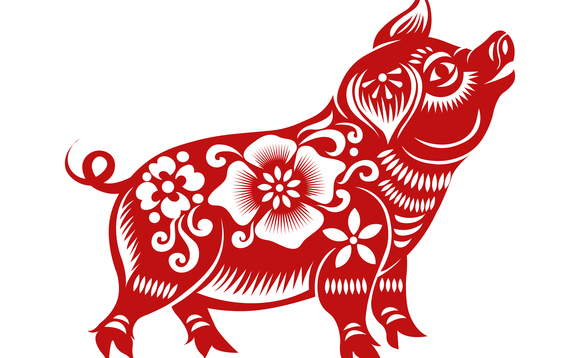 China is beginning the Year of the Pig facing its slowest expansion rate since 1990, undoubtedly hampered by trade tensions with the US and slowing productivity growth. This has sparked investor fears for global growth. Pigs have a great sense of smell, whether it be identifying prized truffles, or sniffing out landmines from as deep as three feet underground. Below, five investors dig beneath the headlines - unearthing pockets of value, as well as revealing worrisome dynamics - in the world's second-largest economy. The macro outlook in China continues to dominate investor thinking, with concerns laser-focused on the country's slowing economic growth. While it has decelerated from the double-digit growth of a decade ago - levels unlikely to be seen again - it is still solid from a global standpoint. However, what matters most for many domestic stocks is not so much national GDP growth, but the GDP growth of households. Data shows disposable household income has increased significantly over the past ten years, despite the slowing economy. There are two reasons for this: demographics and policy. In terms of demographics, the pool of working age people in China has been stagnant for some years, but spending by this group continues to grow. On the policy side, the government has made a priority of delivering meaningful wage increases every year over the past decade, across every province in China. The income growth contributes to improved affordability for working-class families across a range of consumables - including holidays, insurance, healthcare and medical services. Valuations look very cheap, which is partly a reflection of the slowing growth/trade sanctions headwinds. The MSCI World Index is currently trading at a P/E of nearly 20x, well above the China A-shares market at 12x. This represents crisis-level valuations for an economy still growing faster than most places in the world. In the 15 years I have been investing in emerging markets, I have never seen greater inefficiencies than I see in the China A-share market today. Since 2009, we believe China has directly contributed almost 50% of global economic growth, and emerging markets have contributed a further 25%. If the world cannot benefit from growth in China, growth becomes very hard. Chinese growth, while well above developed economies, has been slowing. Two related factors have been at play. First, China's struggle to avoid the developing economy low income trap. After an initial burst of industrialisation, developing economies have historically struggled to transition to more consumer and higher ‘value-added' led growth. Second, China is now attempting to clean up its shadow banking system and this is holding back growth. Most of us were reasonably relaxed about China's ability to navigate both through 2018, albeit at a slower rate than the past. What we did not envisage was the clash between America's and China's view of how to break the low-income trap: America wants China to consume more American goods, China wants to compete with America in IP and high, value-added industries. The result is a trade war. There has been a significant reframing of how America views its relationship with China during 2018. For 20 years, China has been viewed as an opportunity. Now it is viewed as a competitive threat. This is a fundamental shift. We think a new cold, economic war has started with China which will create a more fragile general environment for global growth. Stock markets are already worried. But the negative impact of a prolonged trade war has not, in our view, really been felt yet. With the MSCI China and the domestic Shanghai A-share market currently returning 10.7% and 6.3% year-to-date respectively, market sentiment around China has moved swiftly from extreme pessimism to a more neutral, dare we say optimistic, outlook. Catalysts for the current equity market rally include the growing expectations of a positive outcome to the US-China trade tariff impasse and a softening US Federal Reserve rhetoric. This should result in a weaker US dollar, relative to Asian and emerging market currencies, which has historically been good news for China investors. Underpinning the equity market rally is a supportive valuation story. At current price-to-book levels of 1.48x, Asia ex-Japan is trading at close to a 15-year trough, relative to developed markets. Historically, MSCI China, at a current 1.6x price-to-book valuation, has generated a further 15-20% return, with 80% probability of a positive return over the next 12 months. Our quantitative investment discipline seeks to exploit investor behaviour and the resulting opportunities it can present, through truly active portfolio management, by removing human emotion from the decision-making framework, and by adopting an evidence-based, pragmatic investing approach. While it would be remiss of us to ignore the potential for further earnings downgrades this year, since consensus for aggregate MSCI China earnings growth stands at circa 14%, for investors considering adding to, or introducing exposure to China, this represents a reasonable margin of safety. The trade war came at an inopportune moment for China in 2018, just as the authorities were trying to regain control of the unrestrained growth of credit. However, we believe it is not an insurmountable challenge. The main risk for China is the authorities' inability to halt the deceleration of growth observed over the last 18 months. Beyond the trade war, the ‘natural' deceleration of Chinese growth, inevitable due to its current size and strong growth over the last 20 years, the transition to a service economy, an ageing population, and slowing productivity growth, represents the real challenge facing China. This is particularly true since past recipes for reviving growth, namely turning on the monetary taps or unrestrained public spending, can no longer be so generous because of the steep rise in debt in recent years. Courses of action are therefore more measured and targeted, resulting in less impressive effects that take longer to appear. We believe this year China should succeed in stabilising growth, at least temporarily, because unlike most developed economies, it still has room for manoeuvre. We must remember that a bit like Trump, the Communist Party closely follows the stock market, and will do ‘whatever it takes' to prevent a further stock market slide. The Chinese equity market, if you take the CSI 300 as a proxy, has interesting dynamics that require drilling into the constituents. We would argue there are highly visible structural growth trends that present attractive opportunities in the index and there are also parts of the index that are much more challenged or sensitive to broader macroeconomic dynamics. However, a slowing economy, a trade war, a subtle shift away from globalisation and some demographic challenges mean looking at the index as a proxy for the economy might neglect some very interesting opportunities. The economy is entering a phase of transition with the emergence of the consumer - which, unlike in America, is still the minority influence in the aggregate economic growth rate. Thus far, the Chinese consumer has proven extremely resilient and companies such as Nike, Under Armour, Diageo, Louis Vuitton and Kering continue to talk very positively about the underlying growth they are seeing. Investors need to be very selective and cognisant that value often emerges because of the fairly obvious view that the Chinese economy is slowing in aggregate, but is still growing faster than other G7 economies.